Ever since RIM announced the BlackBerry 10 Dev Alpha device there has been a constant stream of folks asking how they can possibly get their hands on one. While the question is certainly understandable, a lot of folks forget that the BlackBerry 10 Dev Alpha is not a BlackBerry 10 smartphone for end users, nor does it run the final BlackBerry 10 software. Qualified developers will be determined by Research In Motion® (RIM®) using applicant information from the conference registration system. If you have already received a BlackBerry 10 Dev Alpha device at a previous BlackBerry event or from RIM, you are not eligible for this offer. Quantities are limited. In order to be considered for this offer, developers must have registered online by Friday September 21st (11:59pm EST). Those who qualify will be notified on Monday September 24th via email. Qualified registrants must check-in at the event and collect their device in person in order to receive the device. Photo identification must be provided at the time of collection. It's a pretty easy process if you're a developer and you don't already have one. RIM has also outlined some frequently asked questions should you need more information. Actual hardware placed in your hands, so you can work on great apps. 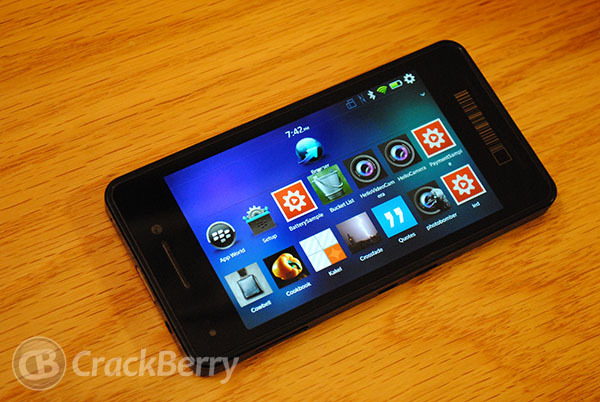 Needless to say, CrackBerry will be attending BlackBerry Jam Americas. In fact, Kevin will be hosting his own session (JAM52) at the event while the rest of us will be bringing you all the latest news. Will you be there?